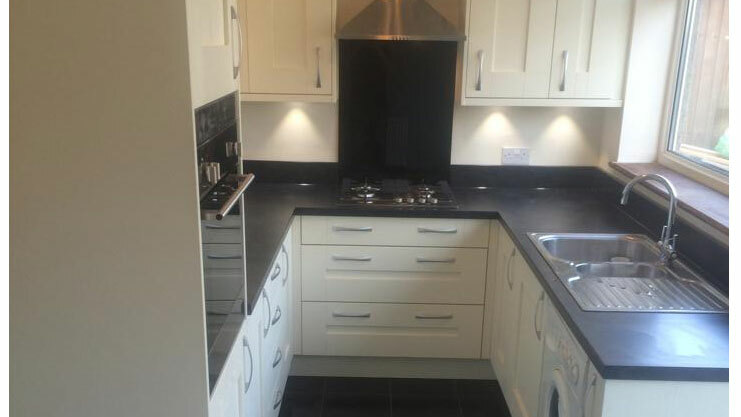 To provide a beautiful timeless kitchen that catered for Mrs Barrett's baking and maximised all available space. 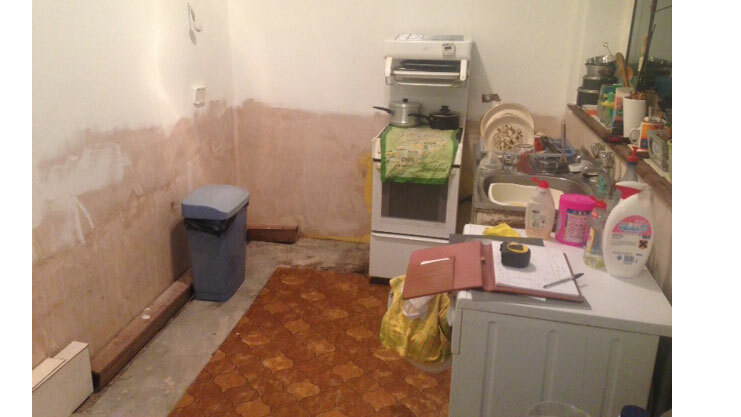 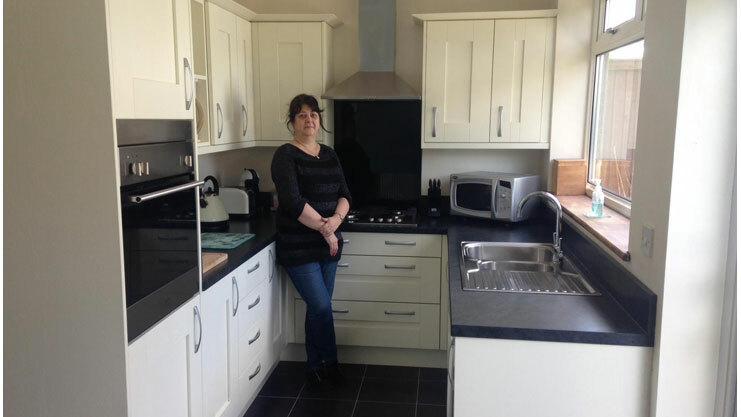 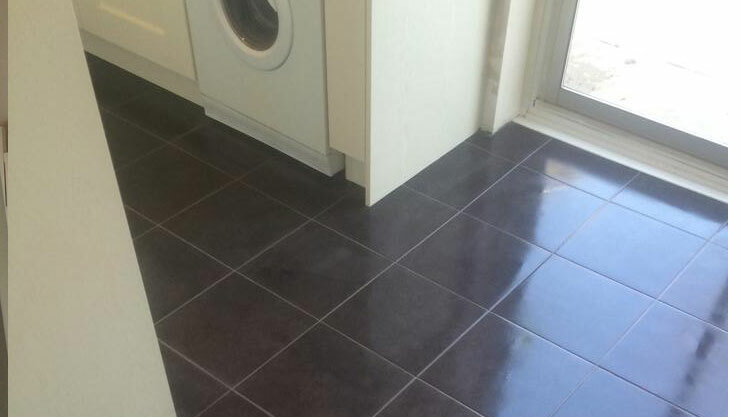 Having removed her old kitchen over a year ago, Christine hoped she would purchase a new kitchen soon thereafter. 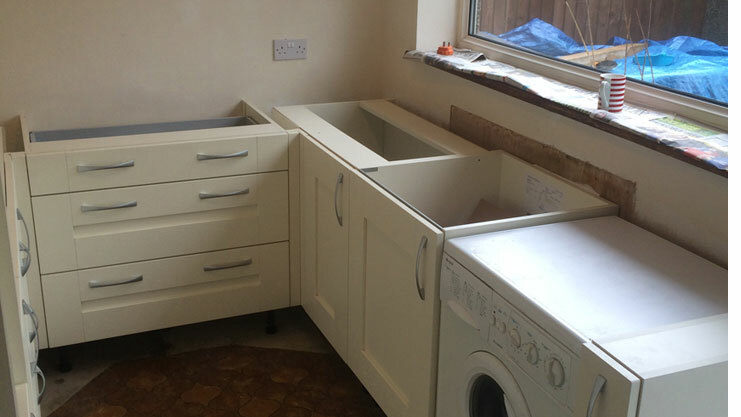 After speaking to several kitchen companies Christine struggled to find a company she felt she could trust so in the meantime had to make do with her one sink unit and oven. 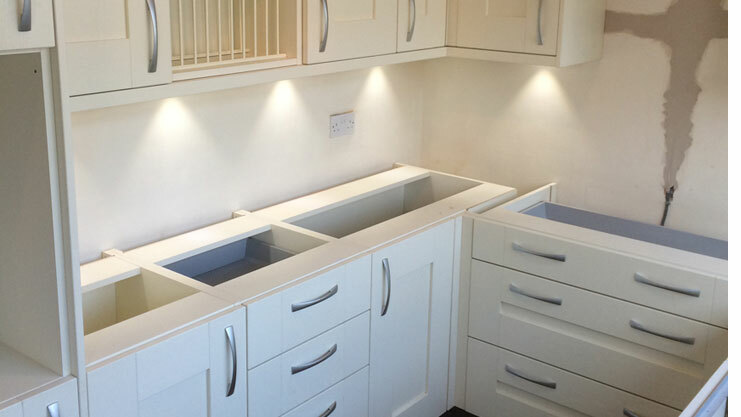 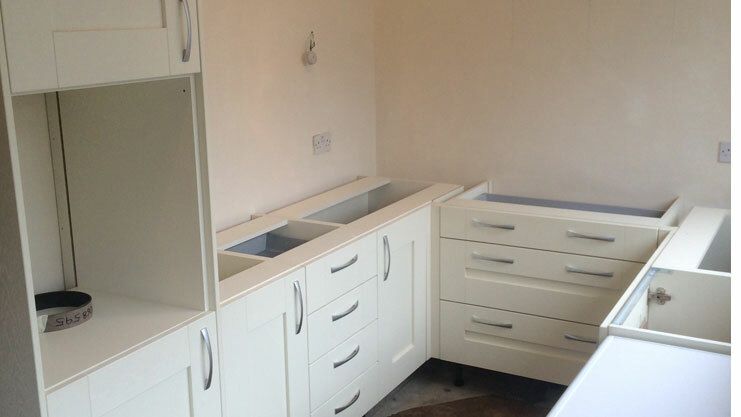 On meeting with Luxury for Living, together we decided on a light woodgrain Ivory kitchen which would suit her space with as much storage solutions within the units as possible to maximise every inch. 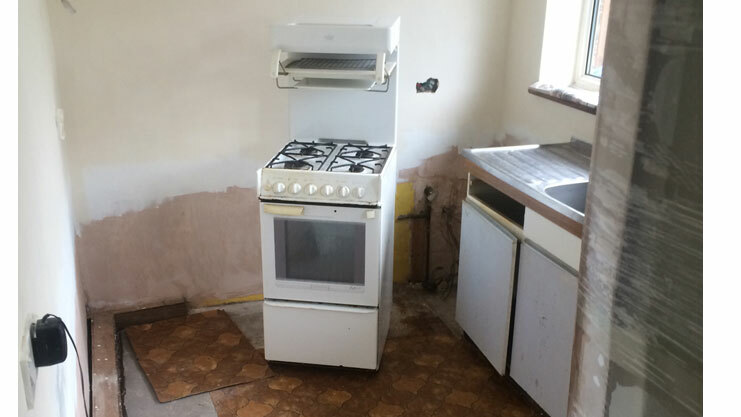 Raising the oven up to mid height was great for Christine which meant less bending and also adding extra wide pan draws was a great advantage for storing of utensils and pans with Christine being a keen baker. 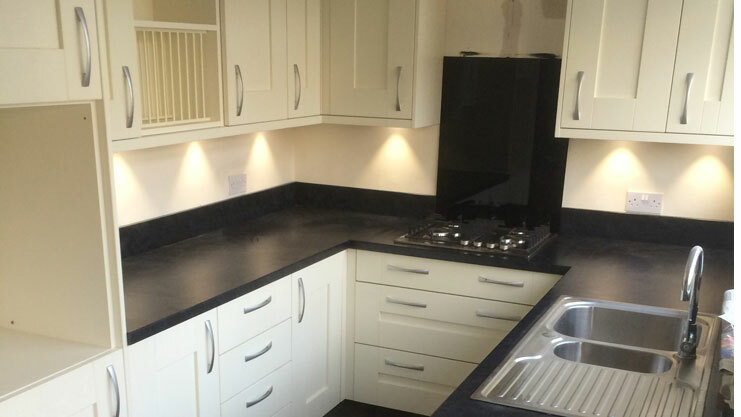 The kitchen combines shaker woodgrain doors with gloss Durapal worktops & upstands the a black glass splashback with subtle under wall unit white LED lighting.